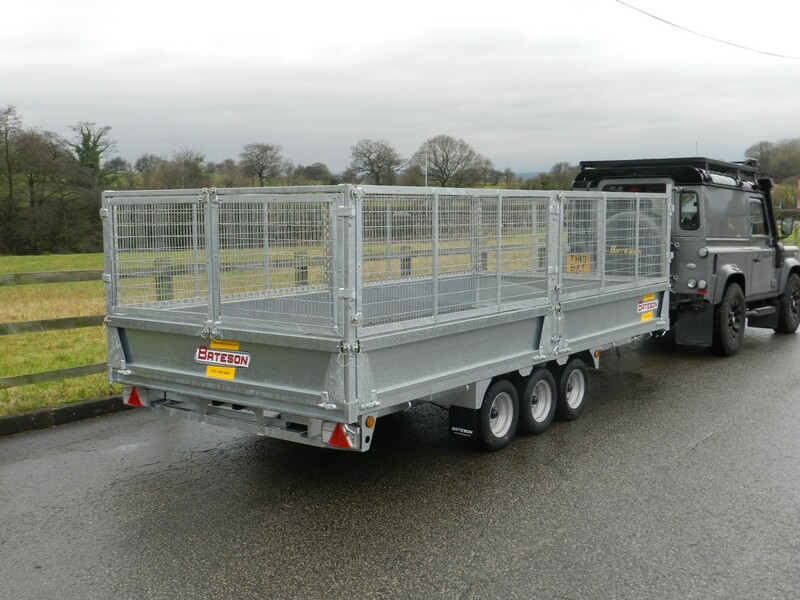 PF50 shown with an optional third axle, steel sides and mesh sides. 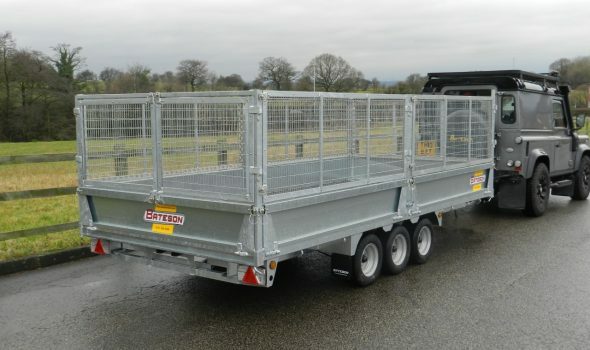 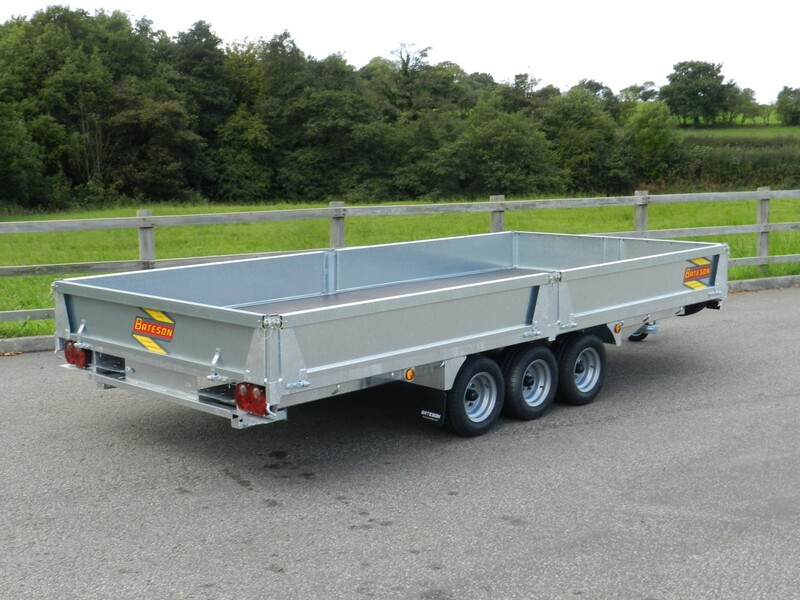 The PF range are available in 4 lengths 3m, 3.6m, 4.3m and 5m all 2 metres wide standard trailers are twin axle , rated at 2750 kg gross or 3 axle at 3500 kg gross. 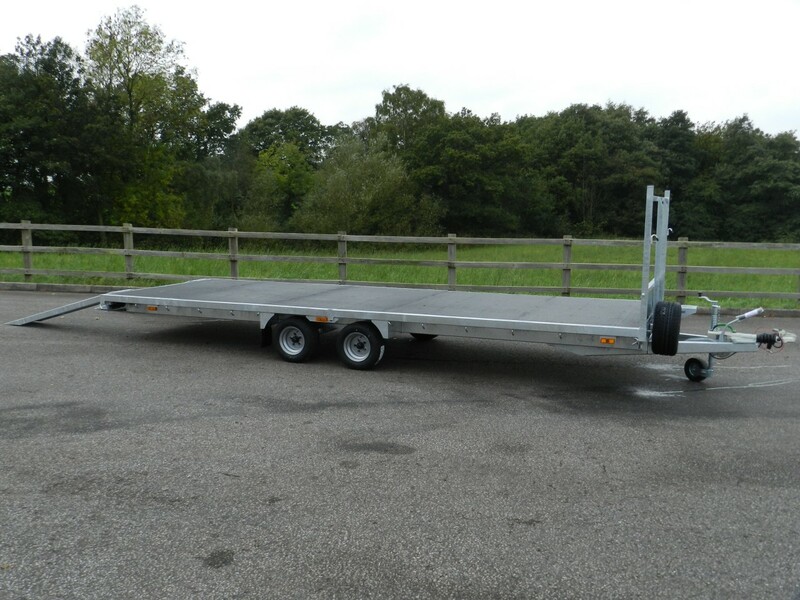 (the price above is for a twin axle flat, the photo shows a 3500kg 3 axle trailer with steel sides and ramps.) 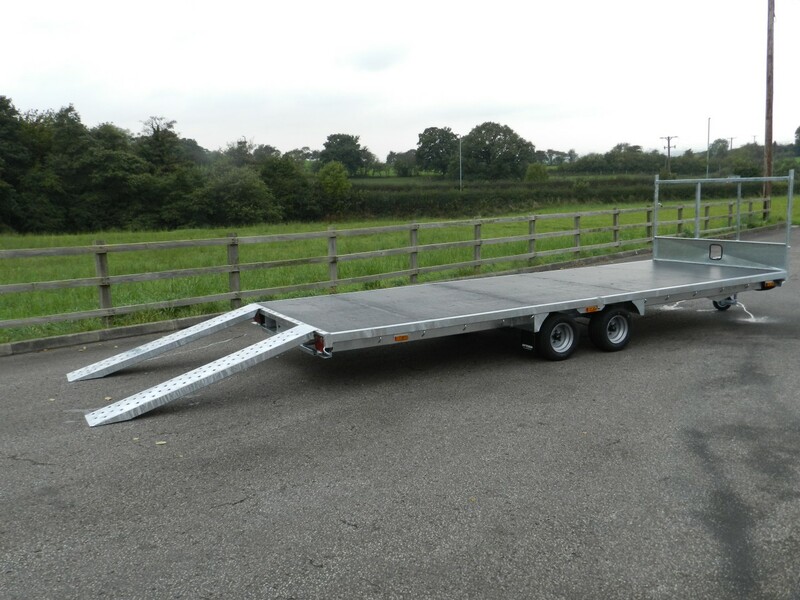 195 x 10 wheels and tyres allow the lowest possible load height for a platform trailer. 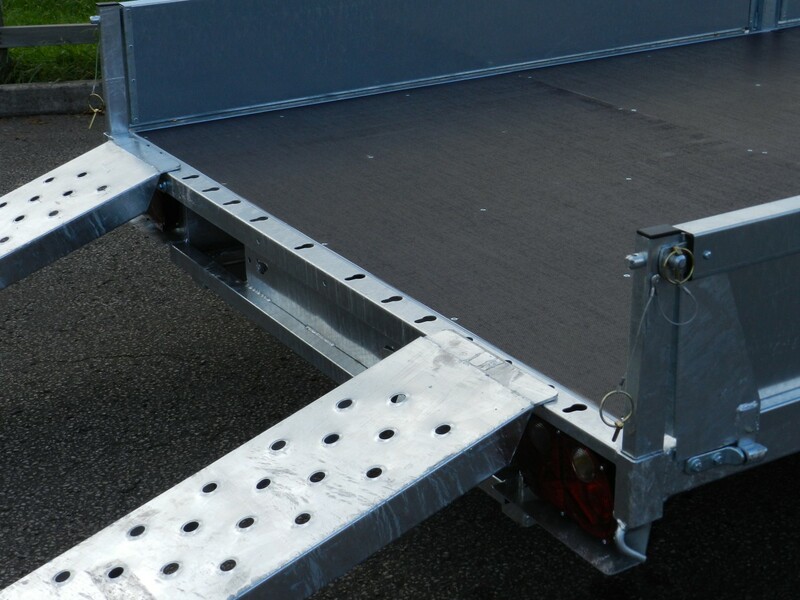 steel sides and all options for platform trailers are available for this range.